Streams are functional programming design pattern for processing of elements of a data structure sequentially or parallely. What are lambda good for? An interface with just one method (one NON-DEFAULT Method) is called a Functional Interface. Here we are separating the body of the function (Line #10) from its signature(Line #6). Lambdas can interact with variables (local, instance and static) defined outside the body of lambda (aka VC). Note: Local variables accessed and used inside the Lambda are final and cannot be modified. Inner classes can have state in the form of class level instance variables whereas lambdas cannot. Note: The signature of the referenced method must match the signature of FI method. Default Method: A default method on a java interface has an implementation provided in the interface and is inherited by the classes that implements it. Spark can be launched in different modes and each of this mode has different architecture. In these, 2,3,4 are distributed architectures. 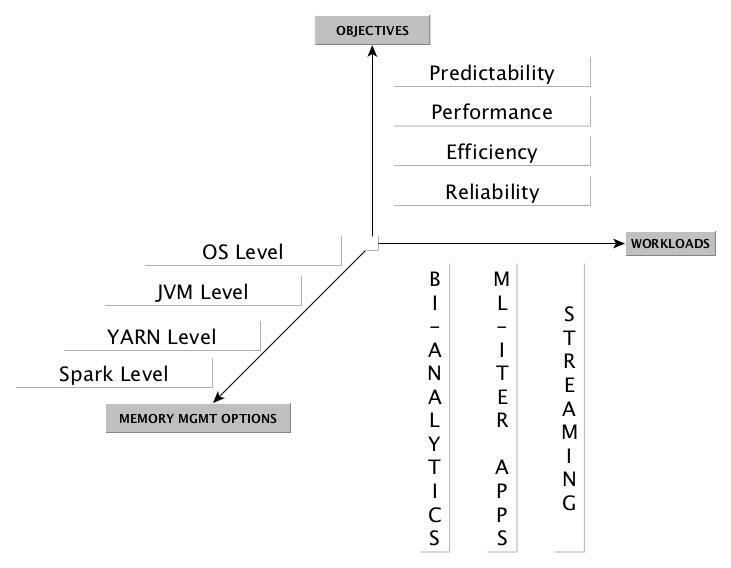 Standalone and Mesos architectures are similar to that of YARN. Spark YARN Client Mode Architecture: This is for Spark in Scala/Python shell (aka Interactive Mode). Here Spark Driver will be run in the Edge Node and if the Driver Program is killed or edge node crashes, the application gets killed. Spark YARN Cluster Mode Architecture: This is when user submits spark application using spark-submit. Here the Spark Driver is initiated inside the Application Master. DAG Scheduler and Task Scheduler: Once Executors are launched inside Containers, they will have direct communication with this Scheduler. This play far more important role than that of the YARN Scheduler in Spark Applications. Spark UI: UI with application DAG, Jobs and Stages are all served by the Spark Driver. Spark cluster can be formed with ‘n’ Nodes. Each Node can have 1+ containers. Number of containers are decided based on the min and max container memory limits in yarn-site.xml. Each Container must have exactly 1 Executor JVM. Each Executor can have 1+ Slots (aka Cores). The minimum slots required for Spark application are 2. Recommended range is between 8-32. We can choose a maximum of 2-3x times actual physical cores on a node. Tasks are run inside the Slots.Task is a unit of work assigned to Executor core/slot by the Task Scheduler. Partition is a block of data(like blocks in HDFS file). Spark RDD is split into 1+ partitions. Each Partition requires one thread of computation (aka Task) and hence an RDD with ‘n’ partitions requires ‘n’ Tasks to perform any Transformation. Jobs: A Spark Application is split into ‘n’ Jobs based on number of Actions inside it. Basically for every Action a Job will be launched. Stages: A Job is divided into ‘m’ Stages. A Stage is a group that can be put together based on operations, for example: map() and filter() can put together into a stage. And this Stage is finally split into ‘n’ Tasks. Dynamic Allocation is a spark feature that allows addition or removal of executors launched by the application dynamically to match the workload. Unlike static allocation of resources (prior to 1.6.0) where spark used to reserve fixed amount of CPU and Memory resources, in Dynamic Allocation its purely based on the workload. Note: This is the main difference between Spark Standalone Architecture (static allocation) and Spark YARN/Mesos Architecture. In yarn-site.xml, we can allocate physical and virtual memory for a container initialized the node. From 1.6.0 onwards, they are combined into a unified pool and there is no hard line split between the two. It is dynamically decided at run time on ratio of memory allocation for these two pools. KRYO Serialization: This is 10x times faster than Java Serialization. 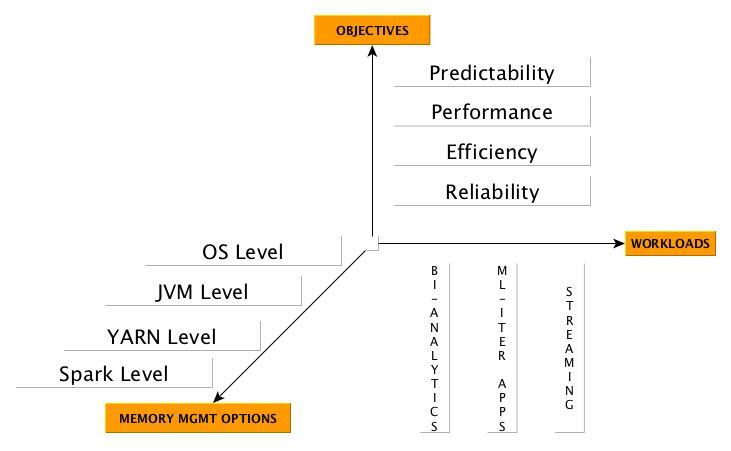 In general, for 1G disk file, it takes 2-3G to store it into memory which is is the cost of Java Serialization. TACHYON: Use tachyon for off-heap storage. The advantage is that even if the Executor JVM crashes, it stays in the OFF_HEAP storage. Here Steps1-7 are all physical and hence I am skipping them. To verify the successful installation, run a hadoop and spark job in cluster mode and you will see the Application Master tracking URL. 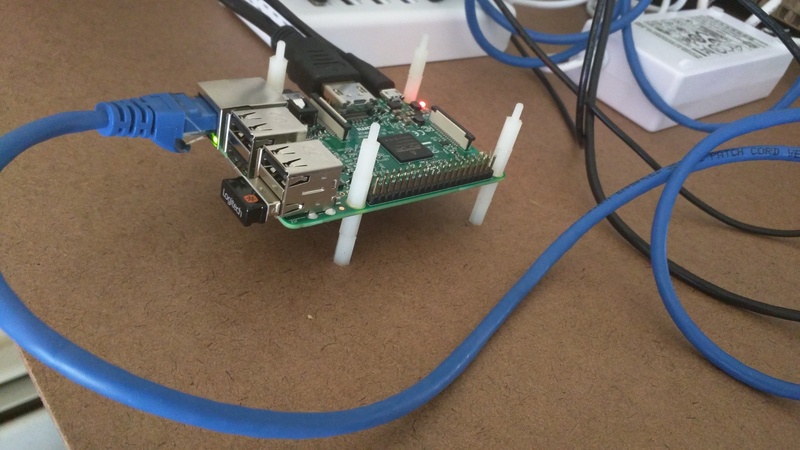 Define subnet which will be the network that all the RPI-3 nodes connect to.